Time to install a clothes pulley? Now we are moving in to autumn, it is taking longer for clothes to dry. 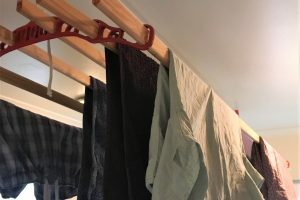 If you live in a Victorian tenement house or flat, the answer is simple, install a pulley which will dry your clothes quicker with the warm air which collects near the ceiling.